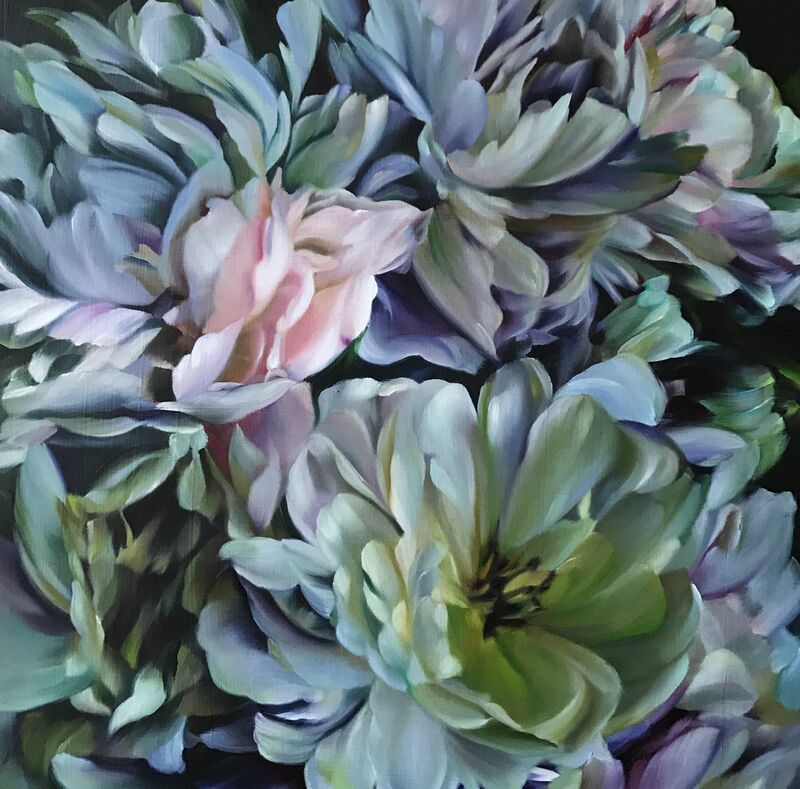 Marcella works in oils on linen and focuses on the beauty and repetition in nature, freezing the moments and imprisoning, concentrating on refining and perceiving light and dark through the 17th century techniques of opaque layering with transparent glazing. The paintings are tapestries of colour and tonal studies jutting out of receding dark spaces. The paintings are a study of complex tonal variations, with an emphasis on colour relationships. The study of changeability and the delicate nuances of colour. The proportional scales invite the viewer into exotic cocoons, switching the focus onto beauty, stillness and meditation. 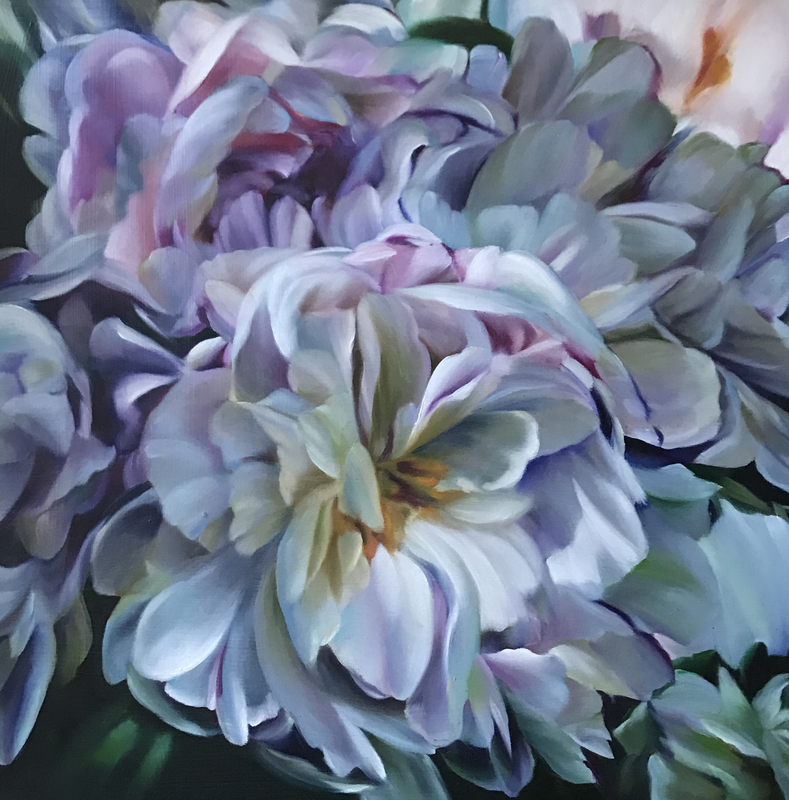 "There is an obsession in my work with the ephemeral nature of flowers and how they reflect the transient nature of life. There is also a constant fascination with the transparency of water, and the play of light, color, temperature and atmosphere that makes up the subject".